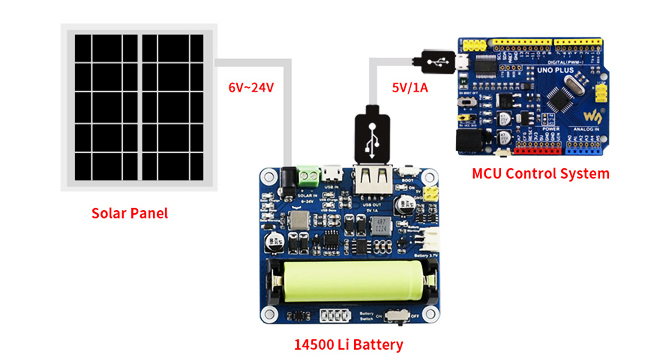 This solar power management module is designed for 6V~24V solar panel. 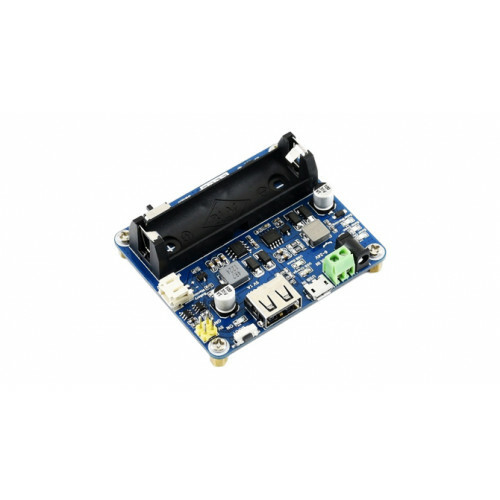 It can charge the 3.7V Li battery through solar panel or USB connection, and provides 5V/1A regulated output. 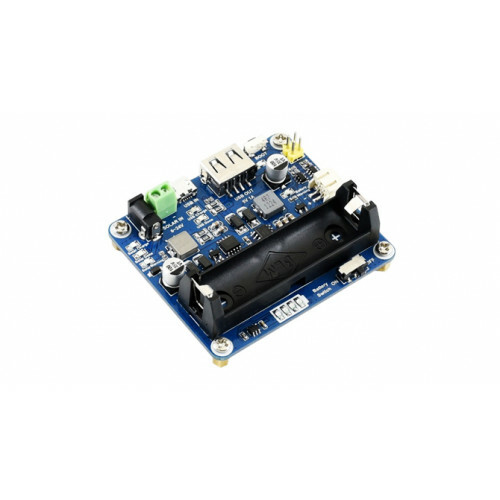 The module features MPPT (Maximum Power Point Tracking) function and multi protection circuits, therefore, it is able to keep working with high-efficiency, stability, and safety. 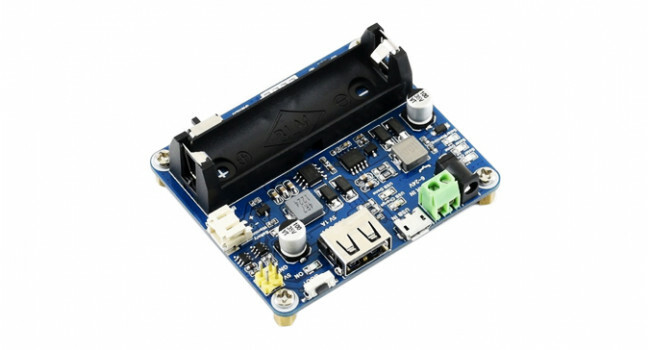 It is suited for solar powered, low-power IoT, and other environmental protection projects. 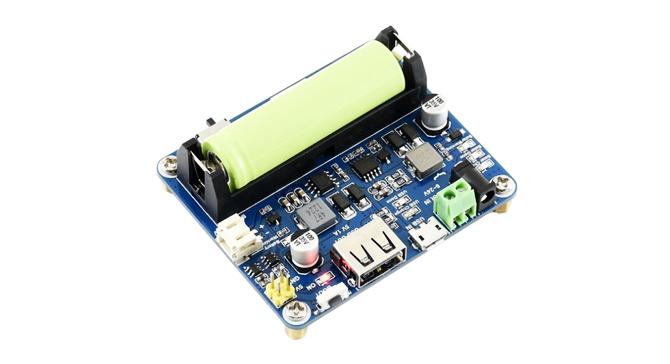 Solar Panel 3.3V@40mA This skill badge is a self-fulfilling one! Normally you would get the badge after the project is done, but in this case, the badge can be part of the project! 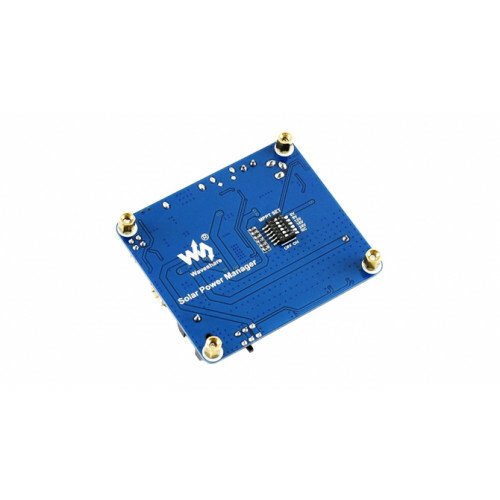 The solar panel ..
Waveshare UNO R3 Plus - Compatible Arduino® The UNO PLUS is a development board compatible with the ArduinO® UNO R3, an improved and enhanced alternative solution for Arduino UNO R3. Quick Spec .. Solar panel 3.5W 6V This is 6 Volt 3.5 Watt Monocrystalline PET Solar Cell. It is high quality and exquisite appearance. 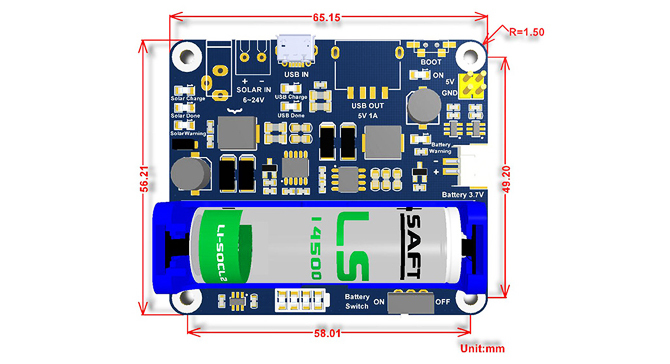 It is used in all kinds of high-grade electronic products such as solar c..
Li-ion 14500 Battery 3.7V 1200mAh These are 14500 Li-ion rechargeable 3.7V 1200mAh batteries. They discharge in a time of 2-5 Hours at a maximum of 8A. Quick Spec Model: 14500 Type: Li..
Tactile Switch 4 Pin H=5mm TH (10 pack) Tactile switches are small compact micro switches. They are very useful when you need a small button button in your project. 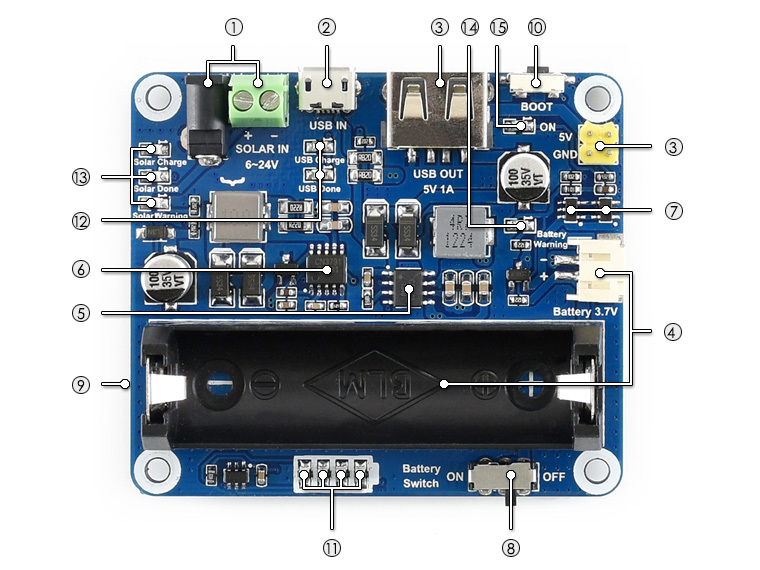 The switches are momentary NO (Nor..
USB A Connector + Pictail Cable USB 2.0 Type A Male Plug + 4 Pin 4 wire data and charge cable cord for DIY projects where you need a cable with a USB A type connector on the one end. Quick Spec .. Solar Panel 5W 6V Mono Semi Flex This powerful monocrystalline solar panel features an A-class monocrystalline silicon panel. Due to up to 21% conversion efficiency and waterproof design, you don't h..